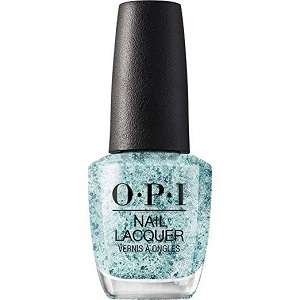 OPI Nail Polish, Ecstatic Prismatic, NLC78, .50 fl. oz. Seafoam green multi-sized hex glitter mixed with iridescent pink/light purple and gold color shifting micro-glitter.